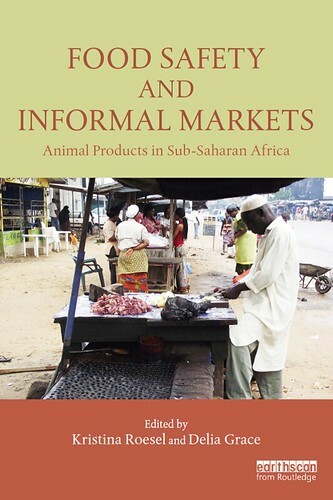 That’s a key finding of a new book released today by the International Livestock Research Institute (ILRI) and partners — Food Safety and Informal Markets: Animal Products in Sub-Saharan Africa—that probes the complicated world of traditional or ‘informal’ markets in livestock products. These are often called ‘wet’ markets because they use so much water in cleaning due to the perishable and often contaminated nature of the foods they sell. These venues sell most of the livestock and fish products consumed in Africa. And they are growing rapidly as rising populations and incomes drive greater demand for meat and milk. 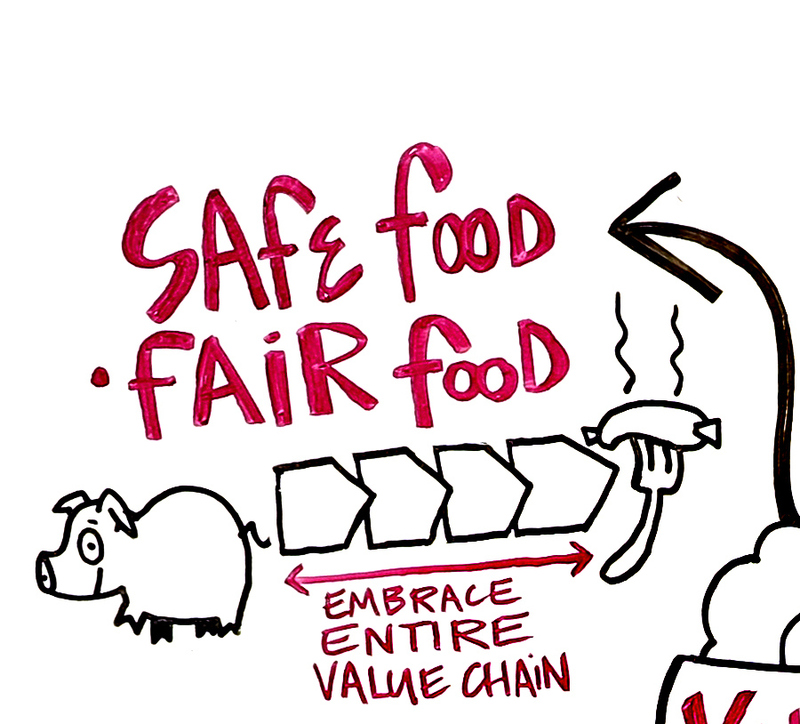 While the food sold in informal markets is often safe, in Africa and elsewhere in the developing world, they are suspected of spreading dangerous pathogens ranging from Salmonella and E. coli to SARS, avian influenza and tuberculosis. But ILRI researchers warn that the push for greater food safety standards in these markets must be informed by an understanding of their vital role as a provider of food and income to several hundred million people who rank among the world’s poorest. Our work across eight countries found that we are right to be concerned about food safety in informal markets — from milk in Mali, to fish in Ghana, to chicken in Mozambique, to beef in Kenya — particularly for spreading gastrointestinal diseases that are a leading cause of sickness and death in developing countries’, said Delia Grace, program leader for food safety and zoonoses at ILRI. ‘But it also shows that we are wrong to think that we can just adopt solutions developed in wealthy countries that favour large commercial operations over small producers. That will just exacerbate hunger and further limit money earning options for the poor. 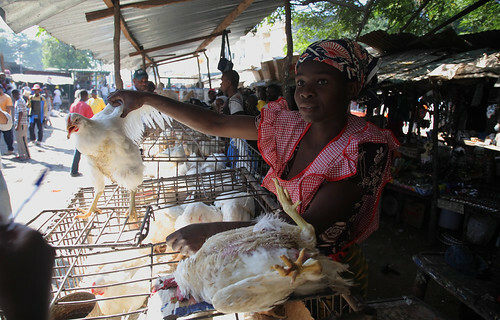 The researchers note that the poor consumers in developing countries who suffer the most from food-borne illness are often the same people who survive by selling meat and milk at the local wet market or street stall, or who depend on informal markets to supply affordable, nutritious food for their families. For example, in sub-Saharan Africa, one out of ten, and possibly more, cases of gastrointestinal or diarrheal diseases are caused by food-borne threats — and these afflictions rank among the top three killers in the region and are a leading cause of death for children under the age of five. Milk, meat, fish and fresh vegetables are common carriers of disease-causing pathogens. But at the same time, these foods are essential for maintaining health and proper childhood development. Moreover, around the world, around one billion smallholder farmers rely on livestock for their livelihoods, with sales of milk and meat through informal markets providing much-needed income. The main lesson from research on food safety issues in Africa, the authors say, is that in the developing world, ‘policymakers need to look to the facts, not just the fears, before moving to curtail meat sales at the local wet market or purchases of unpasteurized milk from traditional street vendors’. Pork joint (photo credit: ILRI/Martin Heilmann, Freie Universitaet Berlin). A key finding that emerges from the book is that in low-income countries, it’s important to separate potential hazards — bacteria, viruses, parasites, chemicals and toxins — from the real-world risks they are likely to present to consumers. Data from sites across East Africa, for example, have found that the raw, unpasteurized milk commonly available from street vendors and traditional markets may contain many health hazards. Yet the actual risks to consumers may be negligible — due to the common practice in this region of boiling milk before consuming it. In other situations, hazards are strongly associated with serious health risks. For example, the book includes a study of Fulani herding communities in Mali adamantly opposed to boiling milk because they believe boiling destroys milk’s life-giving properties. In Mali, researchers found efforts to encourage milk boiling can actually disrupt the social order of herding communities. Food safety policy should be guided by rigorous research to understand the ways food is produced and consumed in different societies so we can devise strategies that are most likely to reduce the risks, particularly to poor consumers’, said Roesel. Successful efforts to reduce food safety risks in informal dairy markets in Kenya offer evidence that analysing the flow of food products from producer to consumer can identify opportunities for effective interventions. In this instance, training informal milk vendors and offering them incentives to improve milk handling practices that can transmit diseases such as brucellosis, tuberculosis and diarrhoea generated lasting benefits worth US$28 million per year. Similarly, analysing how food moves from farm to fork along Nigerian beef chains led to effective and efficient interventions by identifying where contamination was most likely to occur. In Nigeria, butchers were found to be the hotspot for contamination. But providing training and simple technologies led to an 18 per cent decrease in unsafe meat. 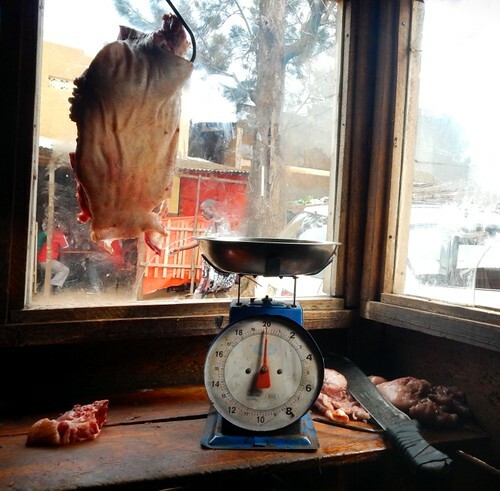 This in turn generated savings of US$780 for each butcher trained by reducing costs of illness associated with eating contaminated meat, while the cost of training was just $9. The study also found that most consumers using informal markets themselves care a lot about food safety. This is evidenced in their purchasing behaviour. Up to 40 per cent of consumers in Vietnam switch to alternative meats in the wake of animal disease epidemics. Researchers have found that poor consumers are willing to pay a 5 to 15 per cent premium for safety-assured products, and that demand for food safety increases with economic development, rising income, urbanization, increased media coverage and education level. Access the book: Food safety and informal markets: Animal products in sub-Saharan Africa, edited by Kristina Roesel and Delia Grace, published by Routledge. Tags: Delia Grace, Erastus Kang'ethe, John McDermott, Kristina Roesel. Bookmark the permalink. Congratulations to Kristina Roesel and Delia Grace for compiling evidence in a very important book that I hope will be understood by development project planners, funders and policymakers! The importance of informal markets for the poor – for both sellers and buyers – has been greatly underestimated for decades.